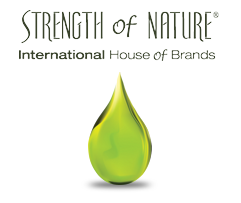 Strength of Nature markets a number of leading brands including African PrideÂ®, Beautiful TexturesÂ®, Dream KidsÂ®, Elasta QPÂ®, Profectiv MegaGrowthÂ®, ProlineÂ®, Soft & BeautifulÂ®, Soft & Beautiful BotanicalsÂ®, and TCBÂ®. Author Chanel Martin (@ChanelEbone) is a co-founder and chief operations officer of Techturized (@Techturized) Inc. She is also a wife, new mom, and lover of all things hair. She works full-time at Techturized. Techturized’s first product, Myavana (@Myavanahair), provides haircare personalization for female consumers around the world. Learn more www.myavana.com and www.chanelemartin.com.